Owning a holiday home isn’t an easy feat, not only do you have to invest your time and money to run the property, but you also have to build and maintain relationships with guests. Naturally, you want your guests to be happy staying at your property but you also want to know everything will be left undamaged and clean. Finding the balance between keeping your guests happy and safe whilst conveying your house rules can be difficult. You don’t want to put travellers off with a huge list of do’s and don’ts but you still want your holiday home to be respected. 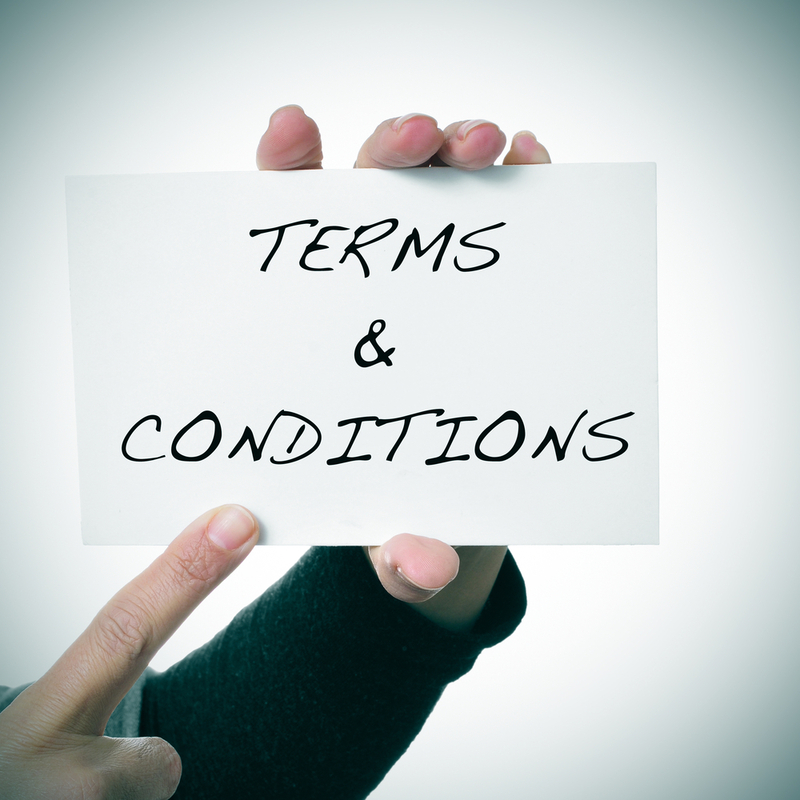 Below, you’ll find a general terms and conditions template that you can use as a guide. As all rentals are different, it is highly likely you will need to add in other clauses that are specific to your individual property. Your booking conditions and rules outline the expectations for both parties and will protect both you and your guest in case of discrepancy or dispute. Let’s face it, most guests’ will skip reading the T’s & C’s. So how do you get guests to read them? Rules are essential but they have to sound less like rules for guests to follow them. Being too pedantic and strict may deter potential guests at the booking stage. Remember, you’re a host, not a dictator and your guests are on holiday. Who wants to go away and be constantly on edge that they have to follow strict rules to the latter? Keep rules light-hearted and add personality. Instead of “You must clean all dishes, strip the beds and hoover before the 10 am checkout”. Try “Could you please clean up your dirty dishes, it’s a pain but I’d hate for them to go green, not that I’m not into recycling…” or “Please ensure the windows are closed when you go out as the local magpie has a habit of helping himself to shiny objects that are on display” Inject some humour so the rules seem less like rules. It also helps if you explain why the rule is there. For example, explain that dogs aren’t allowed due to family members and guests with allergies. Try to avoid underlining or having words in bold. The occasional word is fine but too many can come across as if you’re shouting at them. An easy to read bulleted list will get your point across. The major challenge when it comes to rules is getting your guests to read and follow them. In order for these conditions to be enforceable, ensure the guest has a copy to read and agree to at the booking stage. Also, attach a PDF version with the booking confirmation and include the house rules within the welcome book. This way your guests have both an electronic and a physical copy to refer to during their stay. To encourage guests to follow the rules, charge a security deposit and include clauses in your booking terms that clarify when it will be deducted from (e.g. extra cleaning costs or damage). Within the booking terms and conditions you must clarify the house rules and make the consequences, and cost, of breaking them clear. Ensure you clarify what would happen in the event of cancellation, property damage and the cost if extra deep-cleaning is required. You will also want to confirm the guests responsibility with respect to payment, check-in/check-out, maximum occupancy, property dos and don’ts, reporting maintenance issues, complaining and your right to access to the property during a guest’s stay. These address the main issues, read on for more ideas to include…. 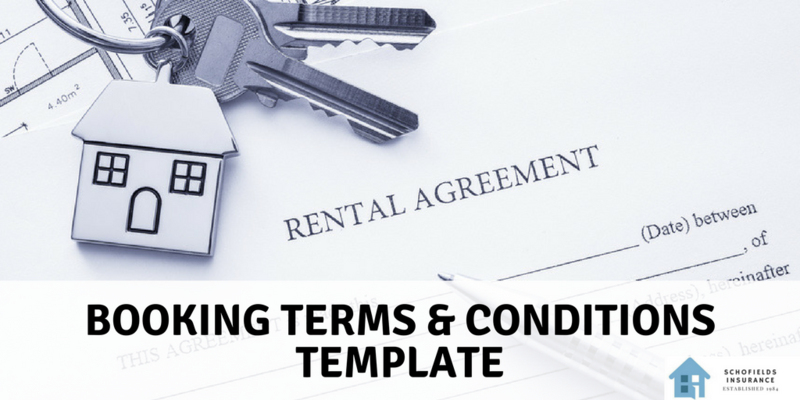 This sample terms and conditions template is just a guide. To ensure your booking terms and conditions are legal we strongly advise that you consult with a solicitor before using them for your rental. A non-refundable deposit of 25% of the holiday price is payable at the time of booking. Bookings made less than six weeks before your arrival date must be accompanied by the full amount of the holiday charge and the £X refundable damage deposit (if requested). The balance must be paid so as to arrive no later than six weeks before the commencement of your holiday. If the balance is not received by the due date then your holiday will be treated as a cancellation and the client will remain liable to pay the balance of the rent. The number of persons using the accommodation at any time must not exceed X and only those people listed on the booking form can occupy the apartment. We reserve the right to terminate the booking without notice and without refund in case of a breach of this condition. (This clause is useful if you are made aware of a party/large gathering). Tenancies normally commence at X unless otherwise agreed and guests are required to vacate the apartment by X on the day of departure. This allows the accommodation to be thoroughly cleaned and prepared for incoming guests. (Include what you’d like guests to do on departure i.e. empty bins, strip beds, clean dirty dishes etc). Pets or smoking anywhere on the premises will result in immediate termination of occupancy and forfeiture of all payments. This must be strictly adhered to and any damage or extra cleaning caused by pets or smoking will be at the expense of you. (Note, if you accept pets then you should include your ‘pet rules’ here). The security deposit will be returned within X days of the end of your holiday less the cost of damage/breakages. The owner shall not be liable for any temporary defect or malfunction of any equipment, machinery or appliance in the building, grounds or pool. Swimming pool/hot tub disclaimer – Include a clause that guests must abide by all of the swimming pool/hot tub safety rules and include a bullet list of the rules here. Other helpful information such as emergency contact details, bin collection days etc. should be included in your guest information. Also, have a read through holiday cottage letting agency booking terms and conditions for ideas. When it comes letting out your holiday home it’s imperative that you have clear and concise terms and conditions in place. Ones that protect both you and your guest in case of discrepancy or dispute. To be fair, bad guests are few and far between, however, that doesn’t mean you shouldn’t be prepared should any guests try to take advantage of you. Just remember to be tactical when it comes to handing over the rulebook. Don’t lose sight of the fact that guests are just that: guest, and they want a nice, relaxing getaway. The last thing you want is to scare them away with your list of demands. Keep rules personal, cover all bases and make your guests feel comfortable. This way guests will be more inclined to read and remember them.